The Stories of Change Lab is a program developed by the Skoll Foundation, Tomorrow Partners, and Sundance Institute. I participated in the week long pilot workshop along with other designers, film makers, and representatives of Barefoot College. 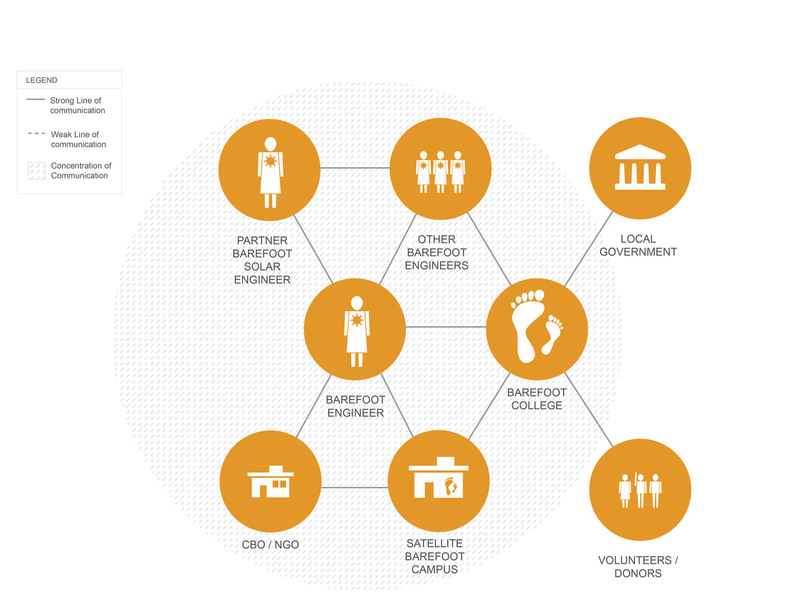 Together, we identified a challenge Barefoot College was facing and developed a solution, a roadmap to make the solution real, and other deliverables that Barefoot College could show potential funders. After the Barefoot Solar Engineers complete their training, they return home. They are dispersed around the globe and have no reliable way to communicate with their new colleagues or the Barefoot College Campus in India. 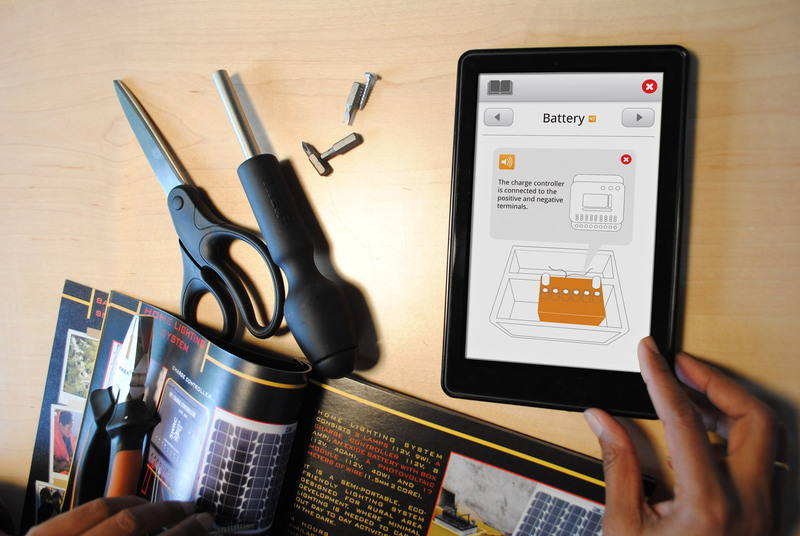 Periodically, engineers have technical questions about their equipment, or have a strong desire to connect to their colleagues for professional and emotional support. The Barefoot College wants to know the effect of solar electricity on the engineer’s village. Both the engineer and the college have mixed results communicating with each other. A brief map of the flow of communication between the engineer and the college revealed weak links. 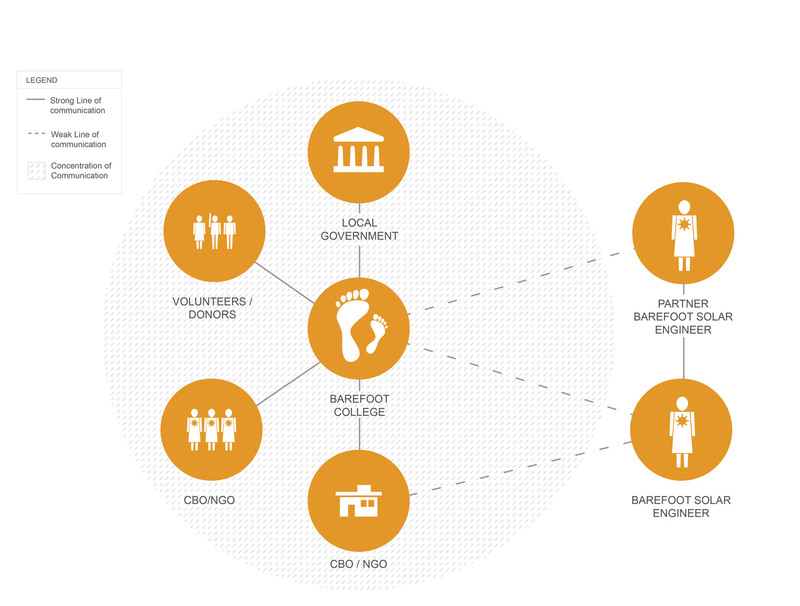 The Barefoot College currently operates as the hub of communication. The Barefoot Engineer’s only strong line of communication is with her partner engineer in her village. We mapped the ideal communication flow for the engineer. In the ideal, the engineer is at the center of communication, with strong links to her colleagues, community building organizations, and the college. 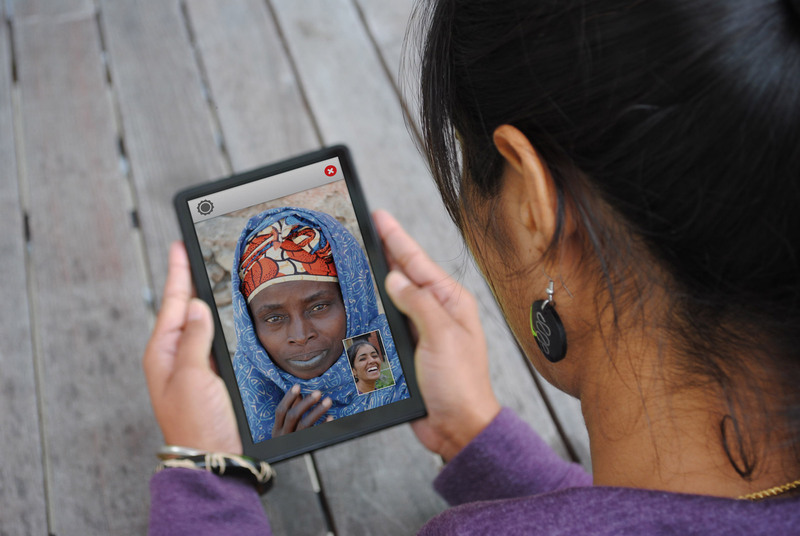 The Barefoot College will remove communication bottlenecks through the rollout of the Barefoot Tablet program. 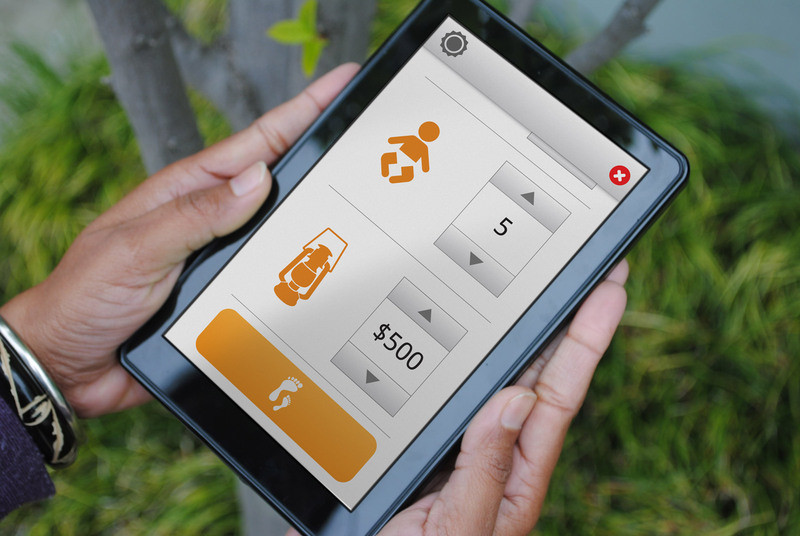 The Barefoot Tablet functions as a textbook, a cell phone, and a platform for other services like canvasing basic census information about the engineer’s village. The interface is optimized for an illiterate or semi-literate user with a heavy emphasis on speech to text. Applications are built to be useful in a low bandwidth environment by being asynchronous with useful offline features.